Tue., Aug. 14, 2018, 9:57 p.m.
CHICAGO – Top U.S. Drug Enforcement Administration officials will unveil new plans to combat Mexican drug cartels Wednesday in Chicago alongside members of the Mexican government and federal police, DEA officials told the Associated Press. The announcement at a joint news conference will be a public display of bilateral cooperation amid ongoing tensions over President Donald Trump’s trade and immigration policies, including over his vow to build a wall along the nearly 2,000-mile U.S.-Mexican border. The new plans include putting greater emphasis on attacking cartels’ financial infrastructure. Plans also call for a new enforcement group based in Chicago that will concentrate on international investigations of cartels. Matthew G. Donahue, director for the DEA’s North and Central American Region, told the AP on Tuesday that the U.S. wants to rely more on changes in the Mexican legal system in recent years designed to make evidence gathering and prosecutions more efficient. He said the U.S. also intends to do more to help stem the flow of guns into Mexico that contributes to deadly violence in the country. Donahue said around 31,000 people were killed in Mexico last year, a new record for a single year. The DEA didn’t immediately name the Mexican officials who will attend the event in Chicago. Donahue said the targeting of top cartel brass will remain a core component of bids to disrupt the powerful syndicates. 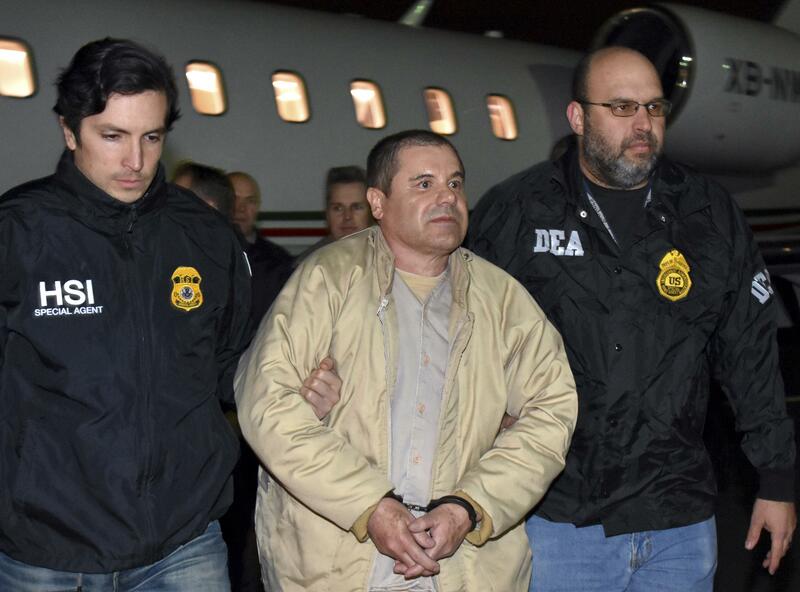 The biggest trophy in this long-standing kingpin strategy was Sinaloa Cartel leader Joaquin “El Chapo” Guzman, extradited to New York in 2017 to face U.S. trafficking charges. Last year, a DEA drug-threat report called CJNG “one of the most powerful and fastest growing in Mexico and the United States.” It said the cartel’s primary product is methamphetamine, with main U.S. distribution hubs in Los Angeles, New York, and Atlanta. A 2018 report by the University of San Diego’s Justice in Mexico said Guzman’s takedown “dramatically reshaped the landscape of Mexican organized crime,” including by clearing the way for Cervantes and the CJNG to expand. The same report urged policymakers not to rely as much on a strategy of going after kingpins and extraditing them to the U.S., saying it often had a “hydra-effect,” in which a new series of drug lords emerge and without reducing the overall menace of cartels. Published: Aug. 14, 2018, 9:57 p.m.